Vopium has released world’s first Mobile VoIP application to on BlackBerry App World however it has already release its Iphone and Symbian versions. Vopium wonders its cost savings package for mobile users up to 90% whether making an international call or sending an SMS. If you choose to make the call through Vopium you will pay the domestic tariff along with a tariff for the call abroad, which is up to 90 % cheaper than what the regular mobile operators are charging. This is because Vopium automatically transfers the call to a much cheaper line of the same quality. Minutes can be pre-paid through the internet and can be paid with all major credit cards. The Vopium solution automatically re-routes calls via the cheapest available route, ensuring that customers are always able to save money when calling international numbers. The Vopium application can be downloaded directly without any hassle. • Send an SMS to 1231 by writing Vopium in the text area you will receive two SMS’s, the first SMS entails your Registered Username and your Portal Password and the second SMS would contain link to download Vopium Application in your Handsets. • Open the SMS text message. You will see a web link; Click on the link. • After that following screen will appear while opening link. • It will start downloading the application in your hand set. • Your screen will display Install Vopium? Select Yes to continue. • Press Continue to complete the installation. • Then it will ask that where you want to save it in Phone memory or in Memory card Select where you want to save. • It will show Resources Usage message press Yes or No. Installation process is complete now you are ready to use Vopium. How do I make calls with Vopium? Simply go to your contacts and select the person you want to call (or dial the number manually) and your international call will go through Vopium. NOTE: Make sure the destination number is in the correct international format, country code first (for example, +45 before 12345678). Alltel Wireless and LG Electronics MobileComm U.S.A., Inc. (LG Mobile Phones) announced that the highly anticipated GlimmerTM by LG will be exclusively available in Alltel retail stores and online at shopalltel.com beginning March 13. With a slide-out keypad and touch-screen interface, the LG Glimmer incorporates traditional phone functions with the latest multimedia features.The LG Glimmer is loaded with a 2 MP camera with video capabilities, an MP3 player with customizable equalizer, an expandable memory slot and is GPS capable. This slick phone is rich with several of Alltel’s Axcess applications including Alltel Navigation, Axcess Search, CityID and Axcess TV. In addition, users can listen to their favorite music while utilizing other multimedia features on the phone, such as taking photos, recording video or sending text messages. The Glimmer also features 3D graphics support and 128MB of internal memory. Alltel Wireless is offering the Glimmer by LG for $249.99 after a $100 mail-in-rebate. This discounted price is available to new customers who sign-up for a two-year service agreement and to existing eligible customers on qualifying rate plans. All Alltel customers who purchase the LG Glimmer and are on a qualifying rate plan are able to receive “My Circle,” Alltel’s exclusive calling feature allowing customers to receive unlimited calling to any five, 10 or 20 numbers, any network. In addition, Alltel was the first to offer Anytime Plan Changes, giving customers the flexibility to change their calling plans at any time, without extending their current contract. LG Electronics launches the LG-KF700, a new handset with an optimized user interface that makes use of touch technology. Further highlights include three other handsets featuring touch technology: the convenience-oriented LG-KF600, the slim and stylish Design with interactive touch lighting phone LG-KF510, and a professional-level camera phone, the LG Viewty. The LG-KF700 includes multiple input methods including an adaptable touchscreen, keystroke-saving Shortcut Dial and numeric keypad, which help optimize this multimedia phone for users’ needs. The LG-KF600’s revolutionary InteractPad feeds forward commands to users and seems almost to read their minds. LG Viewty has already received accolades for its high-end digital camera functions and full touchscreen LCD, which have driven sales to more than 750,000 units since its European launch last November. The super slim LG-KF510 provides animated feedback to users with its unique, touch sensitive LED panel. Both the LG-KF600 and LG Viewty received the prestigious iF Product Design Award in 2008. LG-KF700: Combining three separate input methods, the LG-KF700 provides easy access to its powerful multimedia features, which include a full web browser, digital audio and video players as well as handy widgets. Up front, the phone’s high resolution 3-inch full touchscreen LCD provides an optimized interface for each of the phone’s features and is perfect for watching video content. The Shortcut Dial on the back provides and easy and intuitive way to switch among frequently used applications. Making phone calls couldn’t be simpler, thanks to the LG-KF700’s sliding alpha-numeric keypad. LG-KF600: The LG-KF600 is so intuitive that it seems almost to read your mind. The phone’s InteractPad replaces physical buttons with virtual navigation keys that feed-forward menus that are tailored to fit the task at hand. The InteractPad eliminates the need to memorize which key does what when using the phone’s 3 megapixel camera, MP3 player, video recorder and even when making phone calls or sending text messages. The LG-KF600 is as stylish as it is functional, with a high-gloss finish and easy to grip trapezoidal shape. The phone won a 2008 iF Product Design Award. LG Viewty (LG-KU990): The LG Viewty, a professional-level camera phone, includes features found on many high-end stand-alone cameras, including a manual focus option, an image stabilizer and an ISO up to 800 for indoor or night shooting. The phone, equipped with 5.0 Megapixel camera, also records video at up to 120 frames per second, the highest frame speed ever for a handset camera, which can be edited and uploaded directly to YouTube. A 3.0-inch touch screen and Mobile XD engine provide a wider and more vivid display while a jog wheel on the back maximizes usability. An attached stylus allows users to digitally “write” on photos and edit files. LG-KF510: The extra slim and superbly beautiful LG-KF510 slider phone represents the height of fashion and the best in technology. Gradated metallic Stardust Dark Gray and Sunset Red color schemes form the basis for its design, reinforced by a dynamic touchpad with interactive touch lighting and emotional animation. The LCD includes power saving auto luminance control and is covered by tempered glass, which gives the phone a great sheen and lasting durability. The phone’s Smart Camera has a startup time about one second, image stabilization, LED flash and red eye reduction. Rounding out the features are an MP3 player and the ability to record and play back QVGA video. LG-KS20: The updated LG-KS20 slim smartphone, is designed to enrich the mobile internet experience. It features full internet browsing capabilities, and downloads everything from music and video clips to push e-mail at speed of 3.6 Mbps through HSDPA. It also allows for advanced features like video-conferencing, taking advantage of the phone’s dual cameras. The LG-KS20’s minimalist concept will appeal to those who admire a phone for its design as much as its features. The phone uses an intuitive touch input technology and large LCD screen to maximize its internet usability. The handset is powered by Microsoft’s Windows Mobile 6 software. Microsoft issued the following statement in response to the announcement by Yahoo! Inc. that its Board of Directors has rejected Microsoft’s previously announced proposal to acquire Yahoo! :It is unfortunate that Yahoo! has not embraced our full and fair proposal to combine our companies. Based on conversations with stakeholders of both companies, we are confident that moving forward promptly to consummate a transaction is in the best interests of all parties. The Yahoo! response does not change our belief in the strategic and financial merits of our proposal. As we have said previously, Microsoft reserves the right to pursue all necessary steps to ensure that Yahoo!’s shareholders are provided with the opportunity to realize the value inherent in our proposal. On February 1, 2008, Microsoft announced a proposal to acquire all the outstanding shares of Yahoo! common stock for per share consideration of $31 representing a total equity value of approximately $44.6 billion and a 62 percent premium above the closing price of Yahoo! common stock based on the closing prices of the stocks of both companies on Jan. 31, 2008, the last day of trading prior to Microsoft’s announcement. Microsoft’s proposal would allow the Yahoo! shareholders to elect to receive cash or a fixed number of shares of Microsoft common stock, with the total consideration payable to Yahoo! shareholders consisting of one-half cash and one-half Microsoft common stock. Palm has announced lowered second-quarter expectations, saying that losses will be higher than it previously anticipated. The Treo maker attributed the increased losses to delayed product cycles. The company said it now expects sales to tally between $345 million and $350 million for the quarter; Palm earlier had predicted sales of between $370 million to $380 million. Palm said it now expects losses between 8 and 10 cents per share, excluding some 1-time costs; previously, the company had announced expected losses of 1 to 3 cents per share. For the same quarter last year, Palm earned 12 cents per share on sales of $393 million. Up to a quarter of the entertainment consumed by people in five years time will have been created, edited and shared within their peer circle rather than coming out of traditional media groups. This phenomenon, dubbed ‘Circular Entertainment’, has been identified by Nokia (NYSE: NOK – News) as a result of a global study into the future of entertainment.The study, entitled ‘A Glimpse of the Next Episode’, carried out by The Future Laboratory, interviewed trend-setting consumers from 17 countries about their digital behaviors and lifestyles signposting emerging entertainment trends. Combining views from industry leading figures with Nokia’s own research from its 900 million consumers around the world, Nokia has constructed a global picture of what it believes entertainment will look like over the next five years. “From our research we predict that up to a quarter of the entertainment being consumed in five years will be what we call ‘Circular’. The trends we are seeing show us that people will have a genuine desire not only to create and share their own content, but also to remix it, mash it up and pass it on within their peer groups – a form of collaborative social media,” said Mark Selby, Vice President, Multimedia, Nokia. As part of the research we have identified four key driving trends; Immersive Living; Geek Culture; G Tech and Localism. These trends are currently sitting on the edge, but as these trends become more mainstream, they will have a collaborative, creative effect on the way people consume entertainment and, we predict, will lead to the Circular Entertainment phenomenon. Immersive Living is the rise of lifestyles which blur the reality of being on and offline. Entertainment will no longer be segmented; people can access and create it wherever they are. This triumph marks a shift as consumers become hungry for more sophisticated entertainment. Geek Culture rises, consumers will want to be recognized and rewarded – the boundaries between being commercial and creative will blur. G Tech is an existing social force in Asia that will change the way entertainment will look. Forget pink and sparkly, it is about the feminization of technology that is currently underway. Entertainment will be more collaborative, democratic, emotional and customized – all of which are ‘female’ traits. The report uncovered a locally-minded sprit emerging in entertainment consumption and Localism will become a key theme of future entertainment. Consumers will take pride in seeking out the local and home-grown. The extensive research identifies the trends, along with the technologies, that will be pivotal in the next episode of entertainment. In conclusion, the results of the survey lead Nokia to believe in the next episode; entertainment will be circular. The research took place between July and September 2007. 9,000 consumers, who are active users of technology and own a mobile device [not restricted to Nokia] aged 16-35 were questioned. In addition 17 correspondents from the Future Laboratory’s LifeSigns Network were interviewed. LifeSigns network is a community of 3,000 ‘superconsumers’ thinkers, doers, creators and authors of culture. Interviews were also conducted with 10 leaders in different areas of entertainment who provided us with in-depth proven insights into this subject and what lies ahead. Experts were chosen from the areas of radio, internet, gaming, device developments, mobile telecoms, music, computing, legislation and marketing. AT&T CEO Randall Stephenson reportedly told the press at a meeting of the Churchill Club in California that customers could expect a 3G version of the iPhone next year. However, Stephenson did not say exactly when to expect the device or how much it might be. But he did say that Apple CEO Steve Jobs, “will dictate” the price of the upgraded iPhone. Although it seemed a forgone conclusion that there would be a 3G-compatible version, Apple could be concerned about analysts’ predictions that current sales of the iPhone will drop with news of a 3G version on the horizon. Earlier this year, Jobs admitted that the current iPhone’s battery life would suffer dramatically if the handset supported 3G connectivity. And without offering any specific timeline, Jobs said that he hoped to have the battery issue worked out for a 3G version next year. Verizon Wireless, the leading wireless company with the nation’s most reliable wireless voice and data network, announced the XV6800 is available today online and through Verizon Wireless business sales. The XV6800 will be available in Verizon Wireless Communications Stores on Dec. 5. The Verizon Wireless XV6800 delivers powerful messaging and communications capabilities, including Windows Mobile 6 Professional, which provides instant access to the Internet, calendar and contacts, tasks, e-mail, and much more. Also included are advanced phone features, such as a 2.0 megapixel camera with flash and video capture, and support for Microsoft Word, Excel, and PowerPoint documents, as well as PDFs. Verizon Wireless customers have the benefit of using the XV6800 as a modem for notebooks when they subscribe to Verizon Wireless’ BroadbandAccess Connect to send and receive data. The XV6800 is available online at http://www.verizonwireless.com today for $449.99 after a $50 mail-in rebate and a new two-year customer agreement. Business customers may contact a Verizon Wireless Business Sales Representative at 1-800-VZW-4BIZ to purchase the device. While the French wait for the iPhone’s arrival tomorrow, Orange’s CEO Didier Lombard said in a radio interview that he expects the company to sell nearly 100,000 Apple iPhones by the end of the year. Lombard also has said that Orange will offer an unlocked version of the handset for less than Deutsche Telekom’s T-Mobile has proposed. After legal pressure from Vodafone, T-Mobile last week offered to sell unlocked iPhones for 999 euros ($1,485) in Germany. While Orange has not announced exact pricing for an unlocked version, the company has announced that the starting price for the handset will be 399 euros ($593), with a 24-month contract starting at 49 euros ($73) a month. 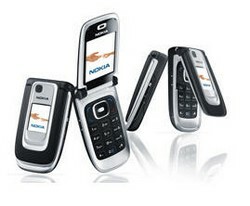 The Nokia 6131 NFC (for Near Field Communication) is one stealthy handset. the phone offers pay by touch, touch ticket and other very cool RFID applications inside a conventional phone form factor. Basically they’ve embedded an RFID chip into the top part of the flip lid. We got a heads up on the technology from Richard Humbach, Head of NFC Business in Finland a while back, and it was very interesting. Demo mode (phone demo without SIM card). Although the Helio Ocean offers many of the features of a smartphone, most people would not classify it as one. Still, Helio continues to add features to this device to make it a better option. The most recent of these is Helio File Viewer, which allows users to view, save, and share documents and images while on the go. These can either come in as email attachments or be saved directly to the device in USB Mass Storage Mode. This application can display the contents of Microsoft Word, Microsoft Excel, Microsoft PowerPoint, Adobe PDF, Plain Text, and HTML documents. It also serves as an image viewer (BMP, GIF, JPEG, PNG, WMF, EMF). File Viewer uses technology from Picsel to allow users to zoom, move, and page up or down quickly once in a document. Members can also view documents in landscape or portrait mode on the Ocean’s 2.4-inch QVGA screen. Along with new attachment viewing capabilities, Helio is also announcing Mail for Microsoft Exchange 1.2, an upgraded version of its application that allows Ocean users wirelessly synchronize email, calendar, and contacts from their companies’ Microsoft Exchange Server. The latest version includes improvements with alerts, calendar functionality, and synchronization performance. The Ocean is a feature phone with an emphasis on messaging. It has both a landscape-oriented sliding keyboard and a sliding numberpad. In addition to its web browser, email, and instant messaging capabilities, it has a built-in GPS receiver. This device can play audio either transferred to it from a PC or downloaded from the Helio Music service. It can also play streaming video from YouTube. Its base price is $415, but drops down to $250 with a new service plan. More information on the Helio Ocean can be found at Helio.com.